Human Rights, Transnational Corporations and Embedded Liberalism: What Chance Consensus? This article contextualises current debates over human rights and transnational corporations. More specifically, we begin by first providing the background to John Ruggie’s appointment as ‘Special Representative of the Secretary-General on the issue of human rights and transnational corporations and other business enterprises’. Second, we provide a brief discussion of the rise of transnational corporations, and of their growing importance in terms of global governance. Third, we introduce the notion of human rights, and note some difficulties associated therewith. Fourth, we refer to Ruggie’s scholarly work on ‘embedded liberalism’, the ‘global public domain’ and ‘social constructivism’. 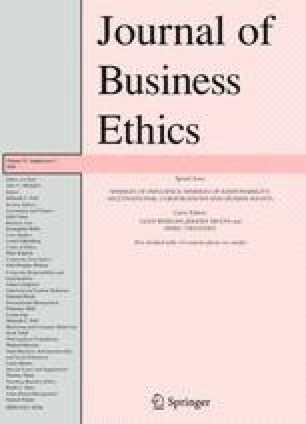 Following this, we refer to the other five papers contained in this Journal of Business Ethics special issue, ‘Spheres of Influence/Spheres of Responsibility: Multinational Corporations and Human Rights’, and consider some of the potential obstacles to Ruggie’s recent suggestion that a ‘new consensus’ has formed, or is forming, around his ‘Protect, Respect and Remedy’ framework. We conclude by raising questions regarding the processes of consensus-building around, and the operationalisation of, Ruggie’s ‘Protect, Respect and Remedy’ framework. The authors would like to thank the following members for their help in completing this special issue: Susan Aaronson, Kenneth Amaeshi, Stephanos Anastadiasis, Dorothee Baumann, Robert Caruana, Larry Catá Backer, Andreas Chatzidakis, Stephen Chen, Andy Crane, Aaron Dihr, Robin Hansen, James Harrison, Robert Hoffmann, Rhys Jenkins, Nahee Kang, P.J. Keenan, David Kinley, Melissa Lane, Dirk Matten, Judy Muthuri, Christiana Ochoa, John O’Reilly, David Ronnegard, Penelope Simons, Andre Sobczac, Wayne Visser, David Vogel, Florian Wettstein, and Vanessa Zimmerman. 2.Division of Business and EngineeringThe Pennsylvania State University, AltoonaAltoonaU.S.A.